I think it's getting to be about time for another layout change on this website. I've been doing a fair amount of design work on the Cornerstones of Trust website and will be meeting with the San Juaqine Sheriffs Association next month to do some volunteer work on their website. For my own website, I kind of want to have a media/news style where you get headers and story previews on the main page along with media without having to scroll. As another friend put it, I want to get more information "Above the fold". I've been spending the last several evenings working on a new simple template for my website based on the Zen template. I finally got it looking the mostly the same in all web browsers. Including Internet explorer versions 8 and 9. Since even Microsoft doesn't support Internet Explorer 6, I'm going to stop trying to get it to work in that version even though I know several corporations that still use version 6. I'm definitely interested in feedback on the template which is now live. But please use an web browser other than IE6. 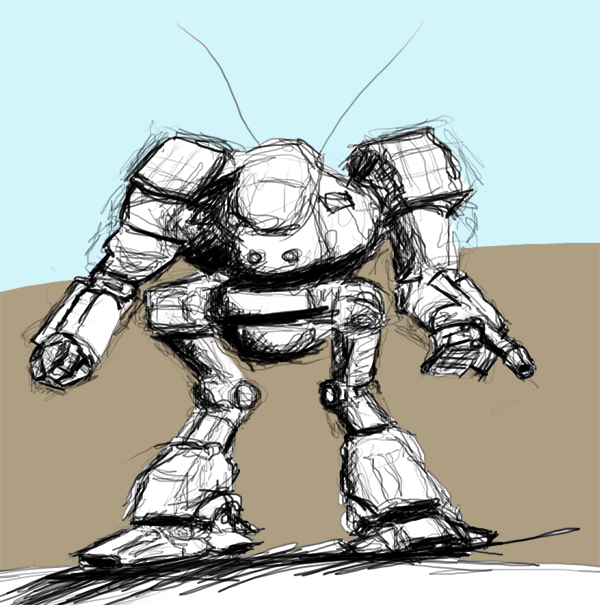 Here is a drawing of a "Mech"
So, here is my latest drawing done directly on my computer using the VisTablet. 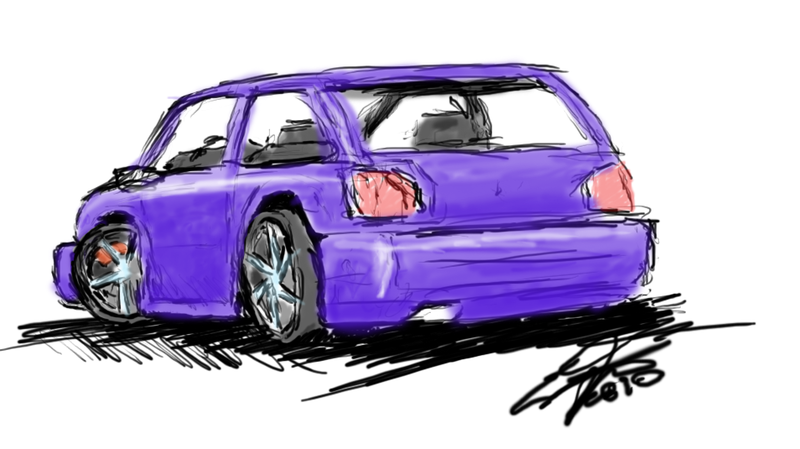 I really like this thing, there are just a few things that bother me. Currently, I haven't figured out how to limit the device to just one of my monitors on my dual monitor system. This car took about 5 hours to complete. 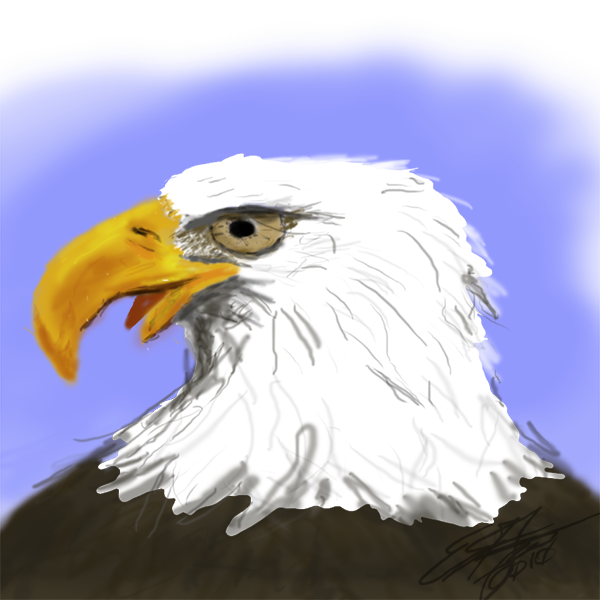 So last night I got a new digitizing tablet for my computer and started playing with it. It took me a little bit to get the latest drivers installed, as they wouldn't run from the CD on Windows 7, so I downloaded them and ran them directly. Once they were loaded, things started going more smoothly. Note, windows 7 did recognize the tablet right away, but the input wasn't smooth. So I've been drawing this guy since high school. He's mostly just a head, but I do have a torso on him sometimes. I almost never have from the waist down. I do remember drawing him one time, full body standing in front of a Jeep with monster tires on it.